Kelly Andrew Johnson was born February 22nd 1982 in Austin Texas. The six foot one Johnson bats left handed & throws right handed. The all around player was a first round draft pick of the Atlanta Braves (38th overall) in 2000 at the age of 18. Johnson debuted in 2005 with the Braves starting out his career as an outfielder. After spending 2006 in the minors he was came back in 2007 converted into the Braves everyday second baseman. He spent a total of four seasons in Atlanta hitting a best .287 in 2008 with a career high 39 doubles. 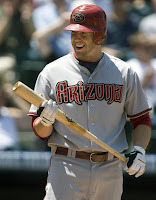 In 2010 he signed on as a free agent with the Arizona D-backs. In Arizona he found power & became more of a HR hitter, hitting a career high 26 HRs & 71 RBIs while batting .284. That season he hit for the cycle on July 23rd in a game against the San Francisco Giants. In 2011 he hit two grand slams for the D-backs, then after hitting 18 HRs with Arizona he was traded to the Toronto Blue Jays for Aaron Hill & John McDonald. In the first game he was to debut for the Blue Jays he could not play because he had forgotten his passport & wasn't allowed into Canada. He finished that season & played 2012 in Toronto hitting 16 HRs with 52 RBIs that year. 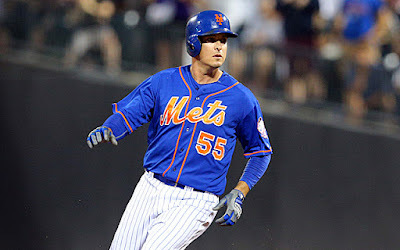 He then signed a deal with the Tampa Rays following with a second straight 16 HR 50 RBI plus season. In 2014 he began the year with the A.L. New York club playing 77 games batting just .219, he was then traded to the Boston Red Sox & on August 30th was sent to the Baltimore Orioles to help them on their Playoff run. He made two appearances in the post season in the ALDS win over Detroit & ALCS loss to the Kansas City Royals. 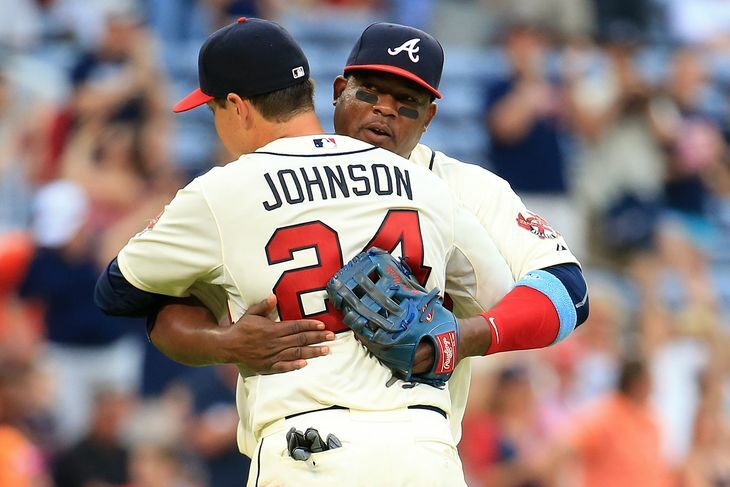 Johnson signed on with his old Atlanta Braves team for 2015, hitting .275 with 9 HRs & 34 RBIs in 62 games playing all over the infield & outfield. On July 24th Johnson & Juan Uribe were traded to the New York Mets for minor leaguers John Gant & Robert Whalen. At the time of the trade it certainly wasn't realized the impact the two players would have on the Mets team fighting for an NL East title. Johnson found himself in the Mets line up right away, solidifying their defense mostly in the infield & making the bench a lot deeper. In his first Mets game, Johnson helped the team in a 15-2 win over the LA Dodgers at Citi Field. 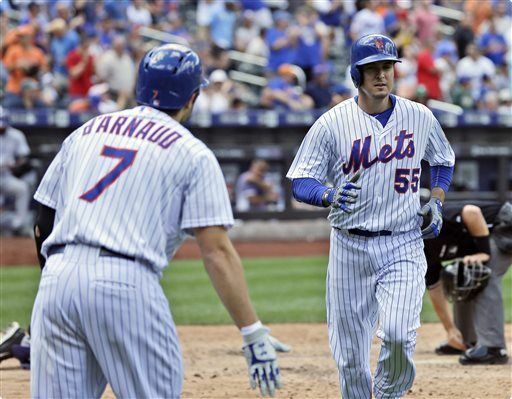 Johnson had two hits & hit a HR helping Matt Harvey to his 9th win. 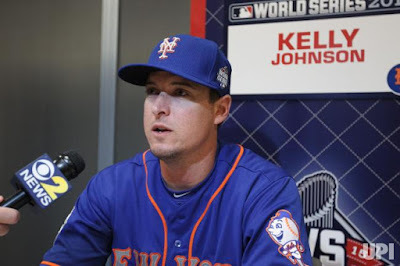 On August 1st, Johnson Got two hits in the Mets 3-2 win over the Washington Nats at Citi Field. That week the Mets swept the Nationals and would take over first place for good. 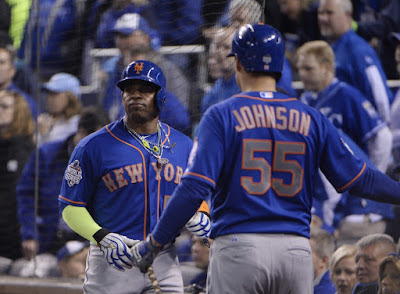 The club also acquired Tyler Clippard & Yoenis Cespedes solidifying the 2015 Mets. 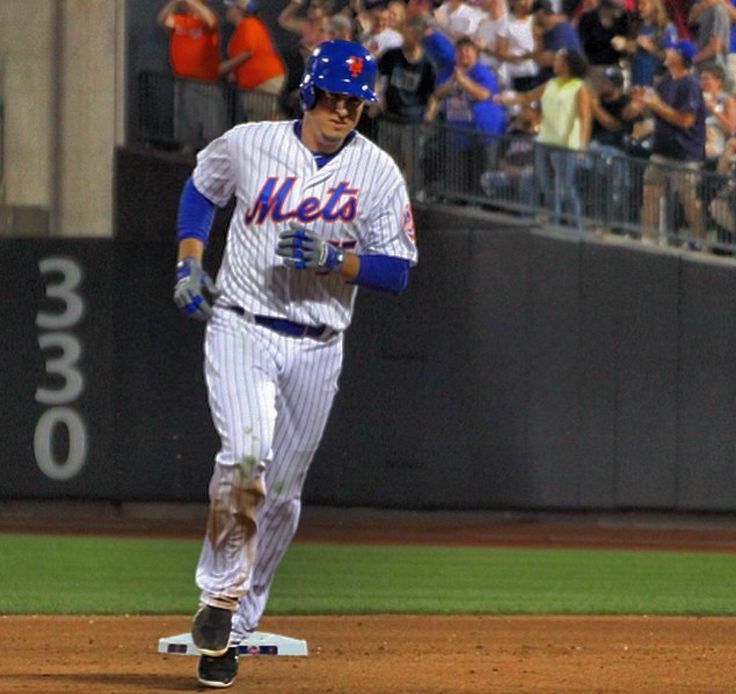 It may have been the best late season additions the Mets have ever added. 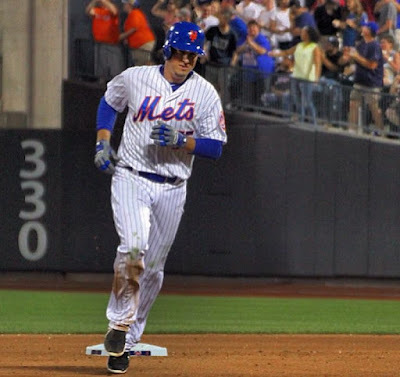 On August 13th he had a big three hit three RBI day, including a solo HR (his 11th) in a 12-3 Mets win over the Colorado Rockies at Citi Field. 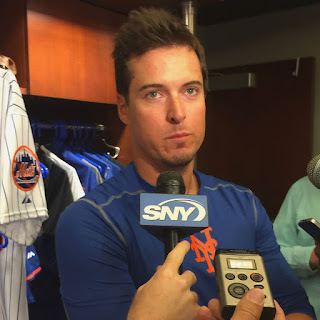 By the end of September he had five multi hit games, hit 5 HRs & drove in 13 runs batting .250 for the Mets. Johnson played at second base (26 games) first base (five games) outfield (six games) & short for one game. 2015 POST SEASON: In the Mets Post Season Johnson got into nine games used both as a pinch hitter & for defensive purposes. Overall he went 1-9, with his lone hit, a 7th inning single, came off Zack Greinke in the NLDS Game #5 clincher at Los Angeles. In the World Series he got a start in Game #1 as the teams DH. He was hit by a pitch in the 3rd inning by Edinson Volquez. 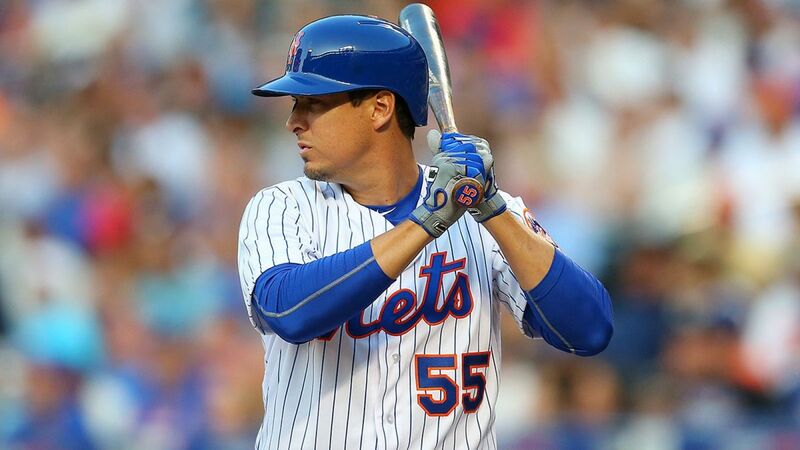 After the World Series, the Mets let him go to free agency & in January 2016 he was signed by the Atlanta Braves. His return to Atlanta was welcomed by the fans but after 49 games he was traded back to the New York Mets for another pennant drive. His veteran leadership, versatility & key hitting was very important for the Mets and they wanted it back. The Mets traded Akeel Morris to get Johnson back on June 8th, 2016. Five days after his return to the Mets, he got a start & hit a well received HR in the Mets 11-2 win over the Pittsburgh Pirates at Citi Field. Johnson contributed with three hits on the day (3-5) with three runs scored. On June 25th, in a return to Atlanta, Johnson hit an 11th inning pinch hit HR off Dario Alvarez, in a scoreless game which gave the Mets the exciting 1-0 win. 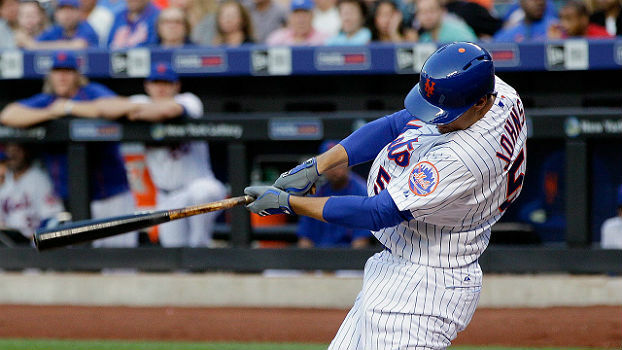 In early July as the Mets swept the Chicago Cubs, Johnson hit another HR in the series sweep. 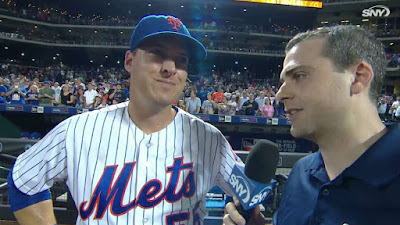 On August 4th he hit a HR in the subway series, Mets 4-1 win. The next day he got another start filling in at third base in Detroit. He hit another HR that day, this one off Justin Verlander. On August 24th, as the Mets began hot pursuit to capture the wild card race, Johnson hit a pinch hit grand slam HR off Michael Mariot & the Philadelphia Phillies in a 12-1 Mets romp at Citi Field. Three days later, he had a three RBI day against the Miami Marlins. Johnson had a modest September going 10-48 with four runs scored. 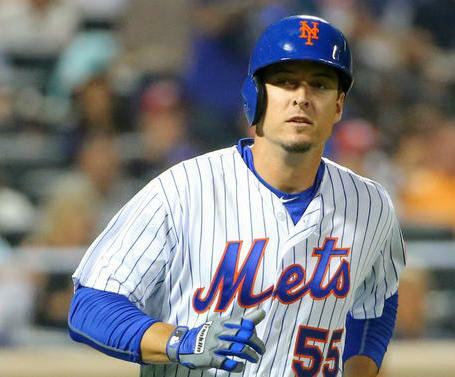 In 82 games with the Wild Card Mets of 2016 he batted .268 with 9 HRs 8 doubles & 24 RBIs with a .328 on base %. He was granted free agency at the end of the season & was not picked up in 2017. In his eleven year career he has played all positions except pitcher, catcher & center field. In 1399 games he hit .251 with 1140 hits 155 HRs 230 doubles 550 RBIs 632 runs scored & a .330 on base %. Family: Johnson & his wife Lauren have three children.